On 12th of July, a meeting of the International Energy Cluster, consisting of Lithuanian and Ukrainian companies, took place at Lithuanian Energy Institute. LEI delegation visited AB “Lifosa”. On 23-27 of April, The Lithuanian Energy Institute, together with the Agency for Science, Innovation and Technology and nine other Lithuanian Science and Study Institutions united by the OPEN R&D Lithuania network presented the most relevant inventions and services oriented for business at the Hannover Messe exhibition in Germany. On 7th of February, 2018, Lithuanian Energy Institute and Central Project Management Agency have signed a contract for the implementation of project No. 01.2.2-CPVA-K-703-01-0022 “Fostering the Activity of LEI Research, Experimental Development and Innovation Transfer Department”. On 4th of January, 2018 the representatives of the Lithuanian company UAB “Axis Technologies” visited the Lithuanian Energy Institute. On 19th of October, 2017, the meeting of LEI representatives and A. Loginov (Head of Scientific and Information Engineering Department), T. Strieltsova (Head of Scientific Knowledge and Technology Transfer Office) and V. Žicki from Ukrainian Construction Enterprise “YUZHNOYE” took place. 2017/08/28 - LEI - at the Global Exhibition "EXPO 2017 Future Energy"
On 20-24th of August R. Levinskas participated in the global exhibition "EXPO 2017 Future Energy" at Astana, Kazakhstan and represented the LEI. On 16th of June the Head of Business Development & Advanced Programs Management Sector of International Cooperation Division Yuliya Pashkova and Director of the Lithuanian Space Association Vidmantas Tomkus visited the LEI. On the 24 - 28th of April Lithuanian science delegation, united by the Lithuanian Science and Innovation Network “Open R&D Lithuania”, will participate in the largest global exhibition of industrial technologies, innovations and automation "Hannover Messe 2017" in Germany. On 21st of April, 2016 the consultative meeting of LST TK 68 “Plastics” and plastics processors took place at LEI. The information provided by the Lithuanian Standards Board Standards Sale and Dissemination Division chief specialist Indrė Liškauskienė. 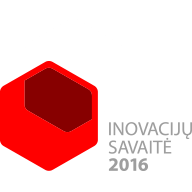 We join the series of events "Innovation Week 2016” and on 28th of September we invite you to visit the Lithuanian Energy Institute where you will get acquainted with the Lithuanian Energy Institute and its activities, visit the labs of established "National Open Access Scientific Research Center for Future Energy Technologies” where you will be introduced with their innovative achievements, used modern equipment and performed experiments. On 5th of September, 2016 during the Scienctific departments heads meeting it was approved to commemorate the Institute's 60th anniversary on 9th of December, 2016. The visitors of the jubilee celebration will be invited to visit and get acquainted with infrastructure changes after the realization of the project "National Open Access Scientific Research Center for Future Energy Technologies".